The “Seattle Box” or “Four-Square” was a geometric form—a simple, near-square, two-story box onto which one of several styles could be grafted, like flavors of shredded wheat. In the neighborhoods where Seattle Boxes prevail, such as Beacon Hill and Capitol Hill, these can include Craftsman, Tuscan, neoclassical, and even Mission Revival. But the Four-Square arose as a reaction to the fussy pretensions of the Victorian age, so both its geometry and decoration are usually restrained. 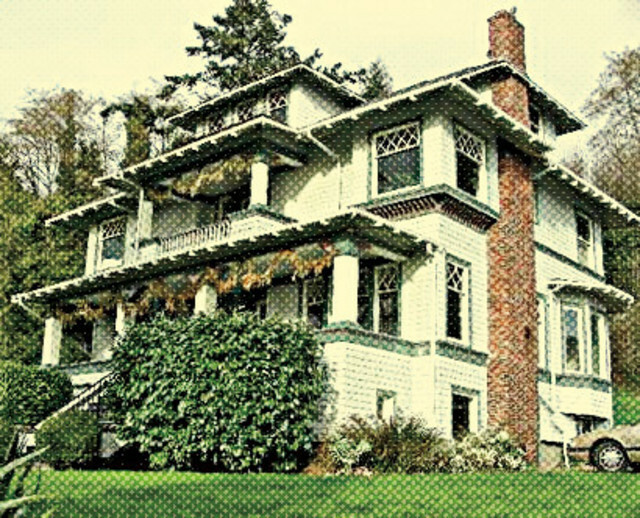 The Seattle adaptation often featured an inset front porch and thrust-out second-story window bays to gather more sunlight. Many Seattle Boxes were built from pattern books or even kits supplied by Sears and Roebuck. 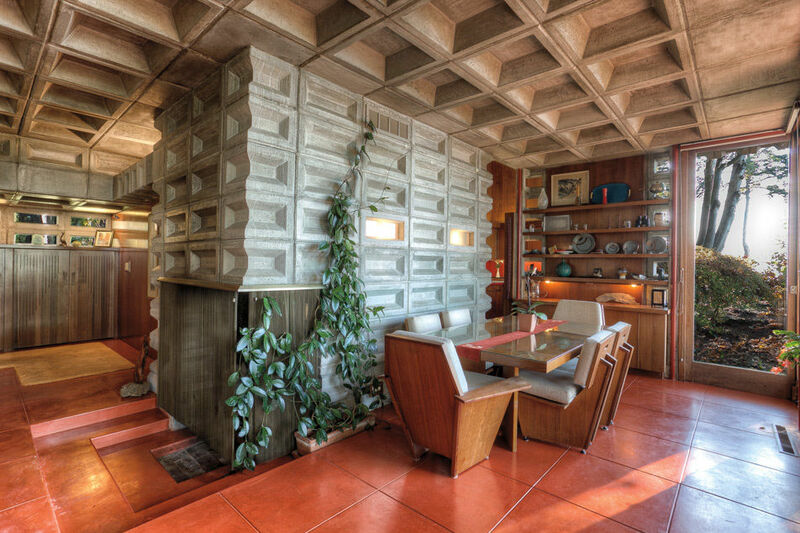 Seattle architect Victor Voorhees published one such wildly popular pattern book in 1907; in it he illustrated an eight-room, 2,000-square-foot Seattle Box. His cost estimate: $2,400. 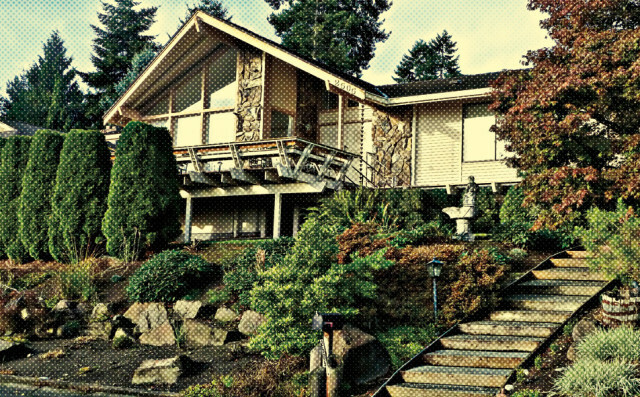 Bellevue has a remarkable stock of underappreciated midcentury modern houses, most notably in the hilly, winding streets between 156th Avenue and Lake Sammamish. 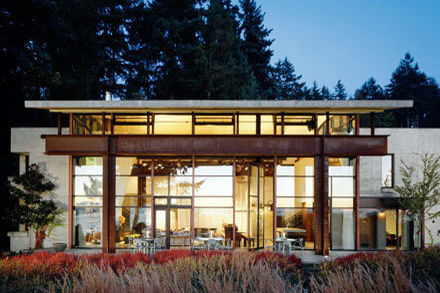 Many, though not all, are builders’ spec houses, and they offer a forward-looking, streamlined aesthetic, a space-age evolution of the Prairie style. 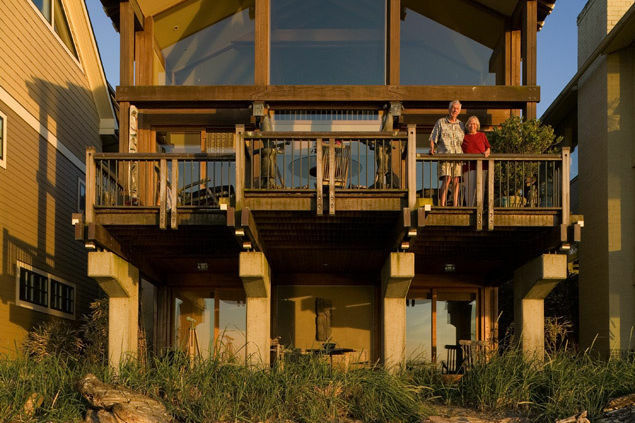 Living rooms often feature “cathedral” ceilings, view-friendly decks cantilever out over gardens, and brick or stone veneers add texture. The downside is that bedrooms, often lodged half underground on the low end of a split-level, tend to be as bleak and dark as the living rooms are light and dramatic. 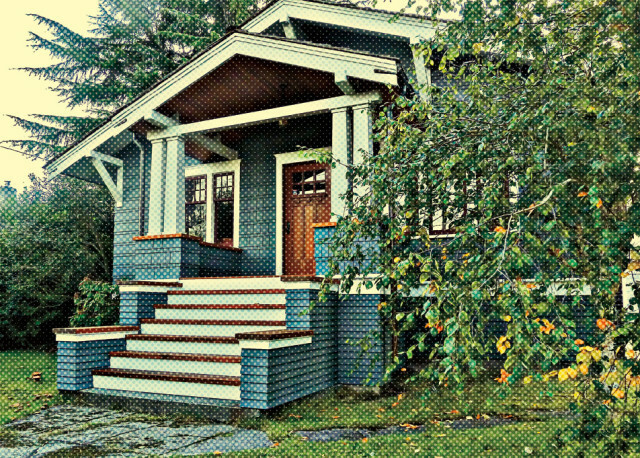 Though most of the designs were lifted from pattern books and magazines, bungalow architecture had a good influence on Seattle. The jumble of low, widely overhanging rooflines in neighborhoods like Ravenna and Wallingford bring the geometry of our mountain horizons right into the city, and the typically wide, deep porches are perfect for a chronically drippy climate. We could do worse than revive and update the bungalow for a new century. 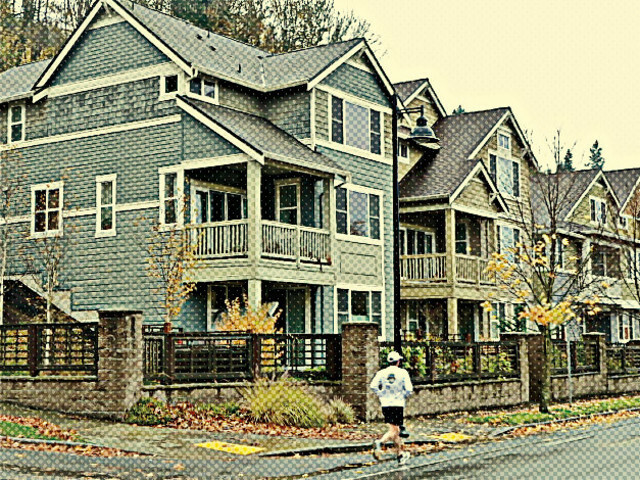 Lacking a precise and neutral term, we’ll label this last the McMansion style—the big, mass-market single-family homes that builders ladled into suburban planned developments such as Issaquah Highlands from the 1980s to the beginning of the Great Recession. 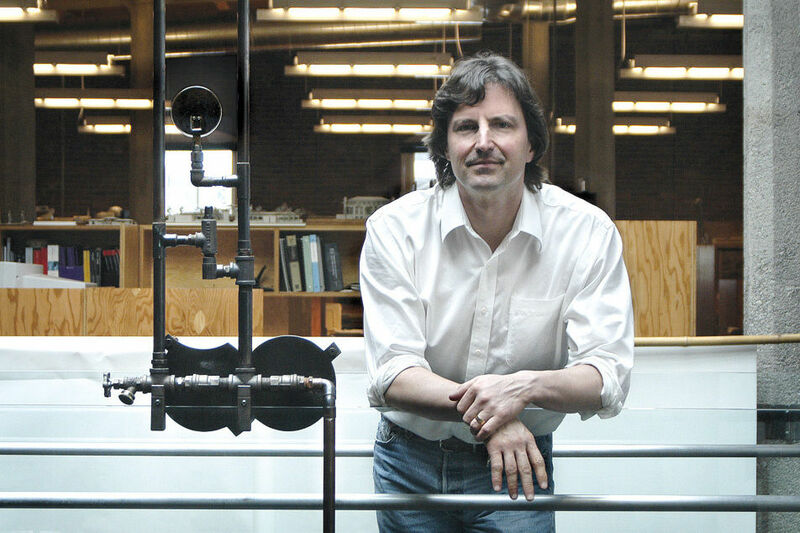 Although they lifted some details from Craftsman homes and other historic styles, the houses were hardly Arts and Crafts in philosophy—they were mass-produced as much as practicable for cost effectiveness. And they were essentially Victorian in form, with a vertical emphasis that mandated two, three, or even four stories. The region’s population boom squeezed outlying lots into urban dimensions, and suburban demands for family space meant the homes had to grow upward. 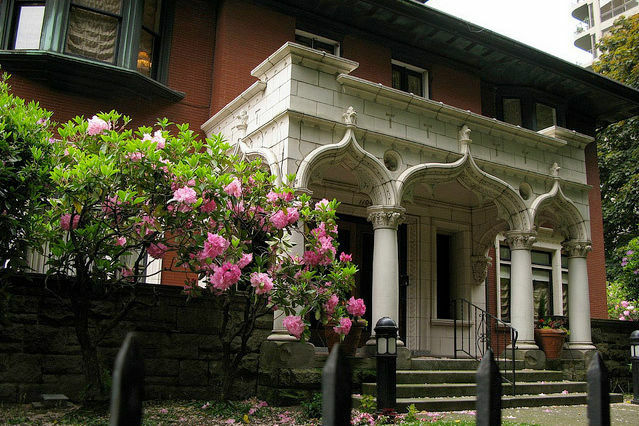 These houses revived some good things, such as front porches. But they were driven more by marketing nostalgia as a commodity rather than designing for modern concerns, such as making the best use of light and views and energy and flexible space inside. Developers have learned through long experience that picturesque nostalgia is what sells to the largest number of people. See our web exclusive slideshow for 10 picks from the jurors that didn’t make the final list. 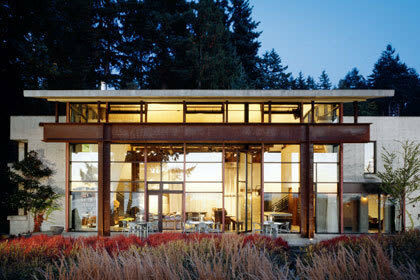 See interiors, details, and more views of top homes selected by Seattle Met’s jury of architectural experts.